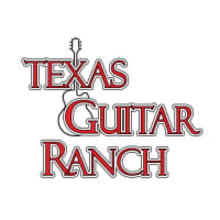 Texas Guitar Ranch is in Bedford, TX, which is in the Dallas/Ft Worth area. We ship 5 days a week and most orders go out the same day or next business day, from our dedicated shipping department. We've been doing mail order since 1991 and your happiness is our first priority. Normally we answer questions right away, but existing customers always come before potential sales, so if we are a little slow getting back to you, it's because we are taking care of someone who has already bought from us first. We ship 5 days a week and most orders go out the same day or next business day, from our dedicated shipping department. Shipping costs only apply to items shipped within the 48 contiguous United States. Shipments anywhere else may have greater shipping fees. International Shipping ~ We do not ship Reverb items outside the United States. Items with shipping specified via FedEx or UPS cannot be shipped to PO Boxes. Shipments for items may only be shipped to the address specified at checkout. If you need to or cannot sign for your item upon delivery, please discuss this with us prior to purchase.